As someone with a strange aversion to foundation or heavy coverage (pet peeve, or in other words gives me the heebie jeebies), there are still days when light coverage, a little more than loose powder, is necessary. I have relatively allergy-sensitive skin, so I'm a little excited to have found the perfect combination of products for said days. 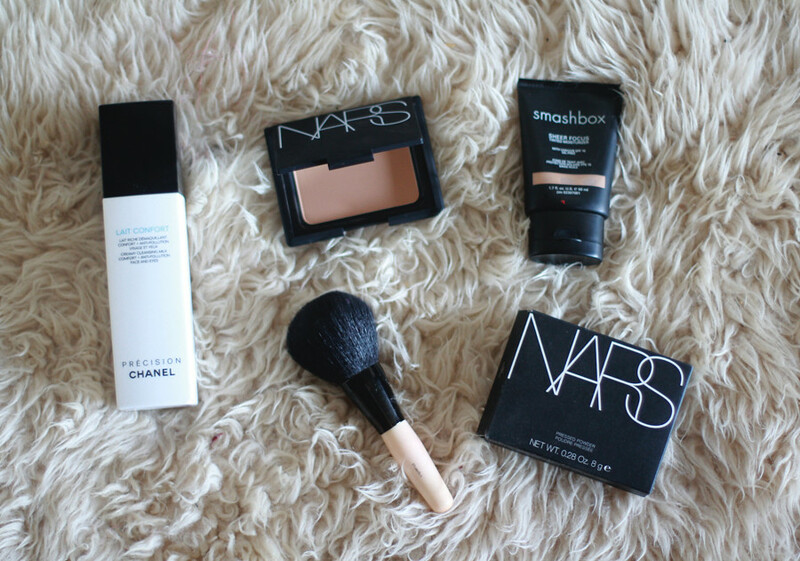 Smashbox tinted moisturizer in Light, NARS pressed powder in Desert to set, and Chanel lait confort cleansing milk for gentle removal afterward--I love that it can be used with or without water and feels just like, well, milk. I hate cakey makeup as well! Sounds like a great product, looks like you actually have quite a few great products! I don't wear very much foundation, I only wear makeup on my eyes + lips but under my eyes I've been using Bare Escentuals and I really love it. It's light and natural and still gives me coverage on my circles! Plus I am highly allergic to most makeup but B.E seems to be just fine! Ahh i may need to try some of these out! i hate heavy foundation too! Gorgeous shades. The nudes are great. 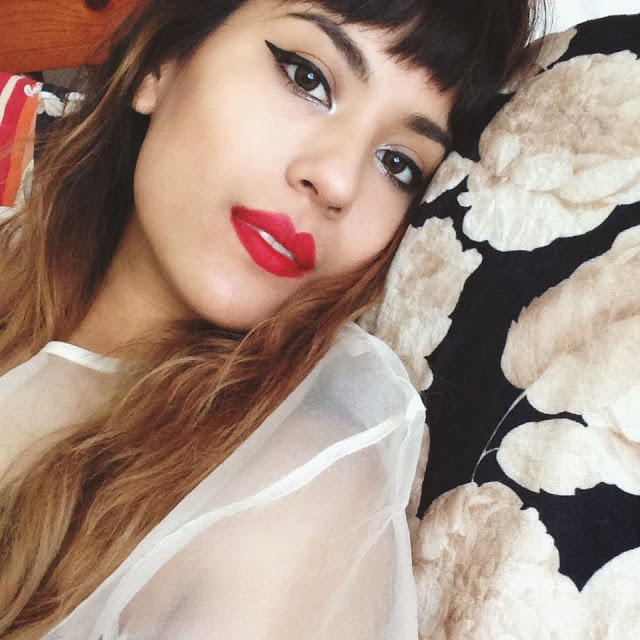 Love NARS. I need a pressed powder, and as I wear a Chanel foundation on days when I do go down that route, I was thinking of getting one of theirs, but I had not thought to look in Nars - thanks, you might have saved me a good few pounds! No problem! 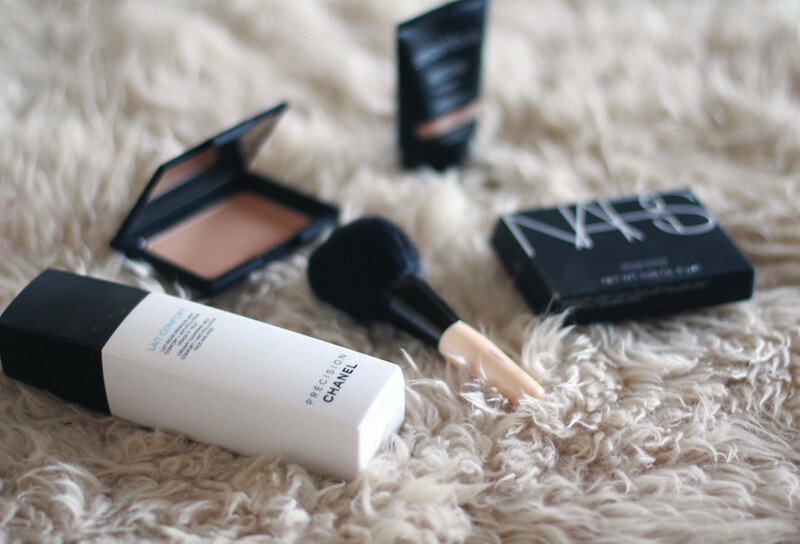 I find that Chanel powders are sometimes a bit too heavy, but Nars is perfect for light coverage, especially when applied with a brush instead of a sponge/pad. Good luck on your hunt! They'll do wonders! The Lait Confort is perfect for removal too because it's soo soft on the skin.